Vyara has extensive training and experience in the wellbeing and leisure field. A passionate fitness and wellness lover, she is certified in various fields, including as an ayurveda practitioner, personal trainer, and pilates, aqua gym and wellness inventory coach. Vyara has worked in leading health and wellness positions across the globe including Croatia and Doha and Abu Dhabi. 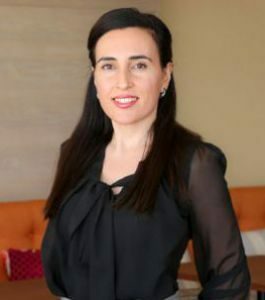 With an eminent career, distinguished training and innate passion for wellbeing, health, leisure and fitness, Vyara has a vested interest in wellbeing and women’s health in particular and has, in her spare time, taken courses in Women Fitness, Healthy Food, Self-Defence, Colour & Image Consulting, Relaxation Therapies, Emotional Freedom Training and Autogenic Muscle Training.